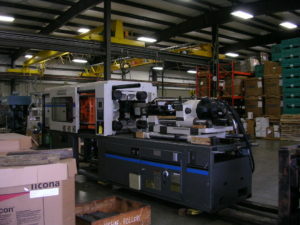 The Advantages of Plastic Fabrication | Bridgville Plastics Inc. There are a few materials you can use when completing the fabrication process. Some companies choose to use plastic for fabrication while others opt to use metal. Plastic is an excellent choice because of the many advantages that come along with using it. Check out several of those advantages below. Plastic can be used to form many shapes. Plastic has a very low melting point in addition to a high malleability, which makes it an ideal material for fabricating parts into all kinds of shapes and sizes. Whether you need to fabricate plastic into a very basic shape or a more complex shape, you will find that it will be easy to work with. Plastic doesn’t need to be finished off after fabrication is complete. Most metals need to be finished off once they have been fabricated. The opposite is true for plastic. With plastic, you can change the color of it during the fabrication process, which eliminates the need to paint or finish it off later. Once it has been fabricated, the production is usually complete and doesn’t require another step later. Plastic takes less time to fabricate than other materials. Because plastic is so easy to work with, you can usually fabricate the parts you need much quicker than if you were working with a different material. Plastic fabrication typically results in faster cycle times and turnover rates, so you won’t have to spend a lot of time doing it. Plastic weighs a lot less than most metals. When you do metal fabrication, you will usually be left with a bunch of parts that are on the heavier side, depending upon which metal you used. Plastic is very light, though, so you will be left with lighter parts that are easier to move around. This is one of the biggest advantages for many companies that use plastic fabrication. Bridgville Plastics specializes in plastic fabrication and can tell you all about the other advantages that come along with using it. Call us at 269-465-6516 today to speak with a representative about using plastic fabrication to your benefit.